A new wireless virtual reality headset has been launched by Kickstarter this month in the form of the RAZERGON VR which has been designed to provide desktop PC power combined with the portability of mobile phones. Watch the video below to learn more about this new VR headset which is now available to back via Kickstarter with shipping expected to take place during February 2018. 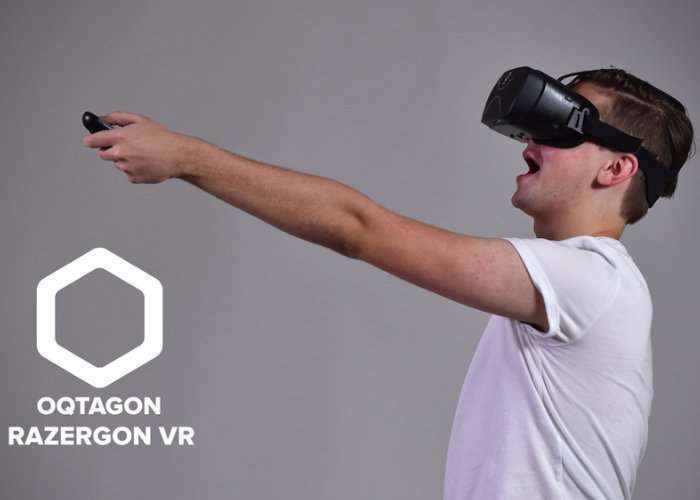 Oqtagon’s Razergon VR headsets are ready and we have begun applications for CE, FCC and several other certifications. While there may be issues transitioning from prototypes to production, our team is confident that most risks have been addressed and mitigated. To ensure that the product is delivered on time, we have inspected the factory and audited its certifications. The factory works to an impressive ISO 9000 standard and is fully on-board with our vision of creating a high quality premium product. They take great pride in manufacturing products for leading gaming accessories and as such we know that they will prove to be great assets in delivering quality products on time. Current Razergon VR headsets are currently pre-loaded with Nibiru software which is compatible with our OqtaMotion controllers. By backing us on Kickstarter, we aim to provide users with an option to upgrade to our Oqtagon OS which fully integrates our controller provides better performances, OqtaMotion API as well as potential OTA updates in the future. For full details and specifications jump over to the official Kickstarter campaign page by following the link below.